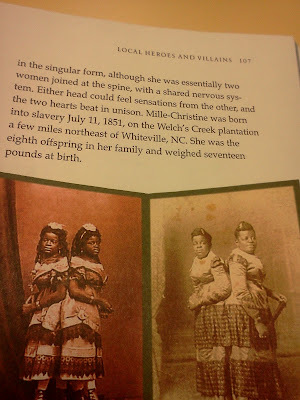 cryptonaut-in-exile: Learned today that Chang and Eng weren't the only famous conjoined twins to call #NC home. 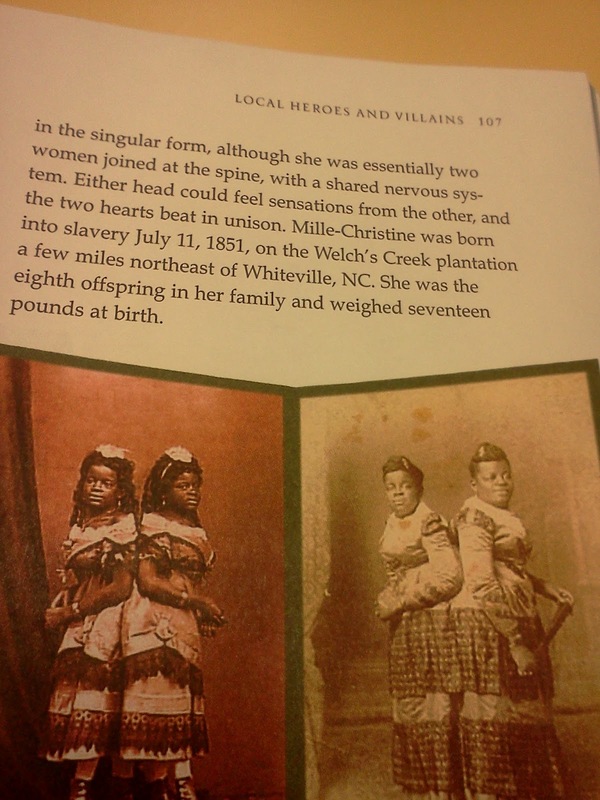 Learned today that Chang and Eng weren't the only famous conjoined twins to call #NC home. They were sold to a showman named Joseph Pearson Smith at birth, but were soon kidnapped by a rival showman. The kidnapper fled to the United Kingdom but was thwarted, since the United Kingdom had outlawed slavery in the 1830s. Smith traveled to Britain to collect the girls and brought with him their mother, Monimia, from whom they had been separated. He and his wife provided the twins with an education and taught them to speak five languages, dance, play music, and sing. For the rest of the century, the twins enjoyed a successful career as "The Two-Headed Nightingale", and appeared with the Barnum circus.